May Arts mesh ribbon is available in a wide variety of colors & sizes. Decorate for Christmas, design for Halloween & Easter, or bring some summertime fun to any project. 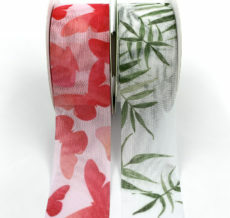 Our wholesale mesh ribbon is an ideal choice, whether your gift wrapping, crafting or scrapbooking.